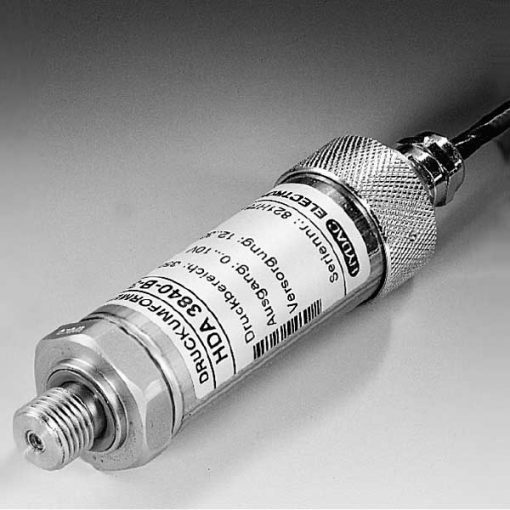 This high-precision pressure transmitter is especially for the sophisticated measurement demands of steelworks technology. To begin with, the instrument has a very robust sensor cell with a thin-film strain gauge on a stainless steel membrane. Plus it has outstanding specifications in respect of temperature effect (temperature drift for zero points and range are in each case max. ≤ ± 0.01 % FS / °C) and accuracy (≤ ± 0.15 % FS typ.). Therefore, it is ideal for use in the environmental conditions found in steelworks. The excellent EMC characteristics guarantee signal stability during the harshest high-frequency, electromagnetic interference. An accuracy ≤ ± 0.15 % FS typ.